How do we get the maximum wireless coverage with the least interference and the best throughput? Stating the question that way, we can see there are three basic issues we always have to deal with, and we can look at them one by one. 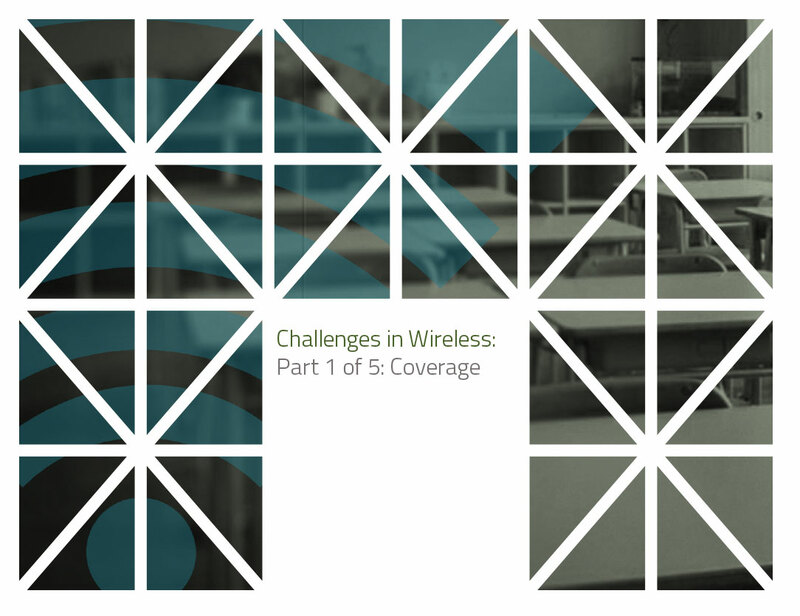 Let’s start with wireless coverage. In an earlier post, we explained that creating a predictive heat map is crucial to planning a wireless network. This heat map should be designed using industry standard software tools that take a number of factors into account. One factor is radio range. In general, lower frequency devices will have a longer range than those that operate at higher frequencies, because they are better able to penetrate solid objects such as walls and floors. Higher frequencies, however, offer more speed or bandwidth. Thus the advice has been to use 2.4 GHz when coverage is your major concern and 5 GHz when it’s bandwidth. It’s not that simple. First, the standard you chose will affect range, with more recent standards, 802.11n and especially 802.11ac devices providing significantly longer range than earlier standards. That said, you’ll have to take the lowest common denominator into account, since not all of your users will have the latest smart phones and laptops. Next, the number of antennas in the access points you choose will affect their range and thus the wireless coverage each can provide. The materials used in your walls may have the biggest impact of all. If we’re installing a network into a large open space such as a gymnasium, our task will be pretty simple, but most often that’s not the case. Generally speaking, if the walls in your building use wood or metal studs plus plaster or glass, our signals will penetrate them readily. If they’re made of bricks or marble, the range will be more limited. If they’re made of concrete with wire or steel reinforcement, we will not expect the signal to penetrate. If you’re designing a network for a multi-story space, realize that your floors are probably built from steel and concrete. For that reason, we normally treat each floor of a building as a separate space for the wireless network design. Finally, electrical closets can pose a problem by causing some RF conflicts. Thus the wifi coverage map. You have to look at your building as a whole, inputting the dimensions, building materials and hazards such as electrical closets. The software will predict the best type and placement of your access points. In Part 2, we will look at the nastiest of scenarios, interference.